I'm the first one to admit that I tend to fall into makeup ruts. I find products I like and constantly use them and repurchase them, basically ignoring everything else in my collection. So in an effort to encourage myself as well as you lovely lot, here are five easy ways to embrace makeup change. Change one thing at a time. Lipstick is always the easiest thing to switch up, but if you're like me and are obsessed with one lipstick to rule them all, then doing this can really change up a look without much effort. 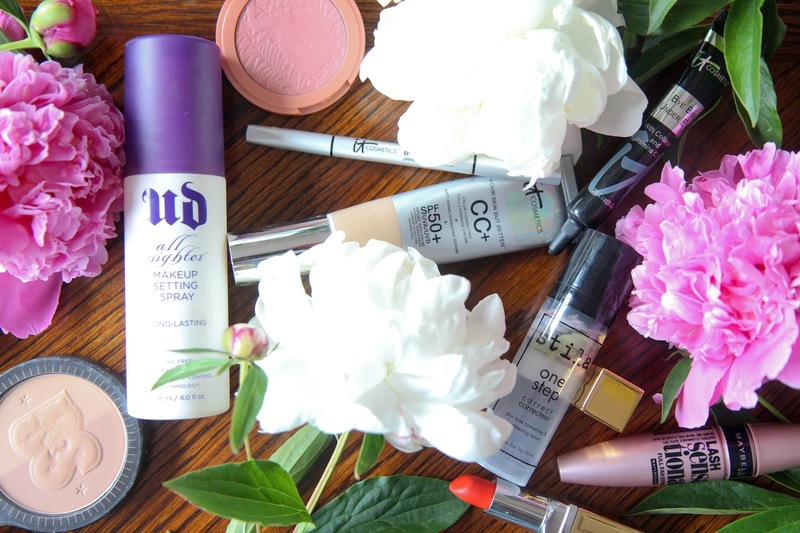 Use a makeup bin to keep things in rotation. I keep my makeup collection in a different room from where I usually apply my makeup. So I rotate products in an out of a bin almost forcing myself to have to use new things. Swap with friends or try out some of their makeup. Talking beauty is the easiest way to get re-inspired to recharge your routine. I'm definitely the type of person who needs encouragement and inspiration from others to do something new. The same thing is true with makeup. Don't worry how you look when you're testing things out. I always get so anxious that I look utterly ridiculous when I try a new makeup method. So I usually give it a go on days where I'm not going anywhere. That way I can start to get comfortable with highlighting or another new technique without the fear of looking insane when I go grocery shopping later. So now is the time to stop wearing the same foundation over and over again and try something new. We can do it!